Conditioners contain de-tangling ingredients that on one hand, keep your hair smooth but on the other, lead to accumulation of grease. Which is why, you should opt for dry shampoo! 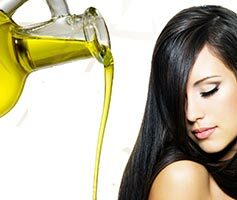 It comes in the form of sprays and powders that soak up extra oil from the hair and scalp. 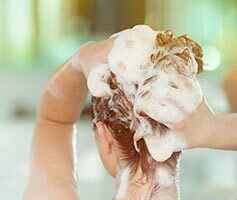 Shampoo your hair gently and do not, we repeat, do not wash it off vigorously. Instead, rinse it out gently throughout the length of your mane. Scrubbing too hard leads to hair breakage and damage. Also, always follow it up with a conditioner! Hair fall? Set your diet right! 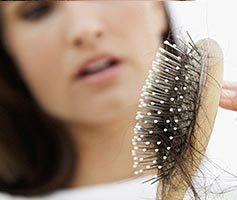 If you’ve been experiencing considerable hair fall lately and all your attempts seem futile, you’re probably unaware of how your diet is affecting you. Consume Vitamin C rich fruits like oranges and lime that support iron absorption, the lack of which causes hair fall. Stock up on protein with chicken - the building block of the body. It helps strengthen hair as well. How do men get rid of pesky ingrown hair? 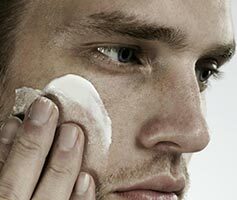 Turn to Salicylic acid for help – Apply post-shave products that contain this ingredient, as it actively treats razor bumps, exfoliates and moisturizes your skin. In addition, take antibiotics suggested by your dermatologist to speed up the healing process. Ghee or clarified butter acts as a natural lip hydrant. Slap on some before going to bed every night and wake up to healed, soft lips. Also, invest in a good quality lip balm for when you’re on the go – make sure it contains SPF of at least 15. Nail masks are a real thing and they work wonders! Simply rub your nails with a mix of baking soda and a teaspoon of lemon juice. The baking soda helps exfoliate while the lemon juice lightens nail color. Rise after 10 minutes and you’re all set! Listen up, men - Don’t over-shave! Too much shaving strips your facial skin dry. In case of burns or cuts caused by your razor, apply a 2.5-5% benzoyl peroxide gel. Its anti-inflammatory properties will help soothe irritation. In your teenage years, your skin starts breaking out into pimples and acne because of all those biological changes. So remember, water is your ultimate saviour. Wash your face regularly, preferably with warm water and a mild face wash. Also, drink plenty of water to keep your skin hydrated and sebum production under control. Eyes tend to age early due to continuous exposure to laptop and mobile phone screens – they deserve some TLC (tender loving care)! 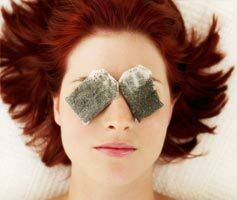 Use tea bags, cucumber slices and ice cubes to relax, nourish and hydrate the delicate eye-area.